In my experience, the people who acknowledge luck are more generous and more charitable. The people who attribute their success to rugged individualism usually are penurious and cheap. He doesn't mean stop working. He means never stop working--and never stop acknowledging that you're lucky to have landed where the work is, and to have been gifted what you need to do it. We could use more of that kind of humility, and more such reminders of the fact that we can choose to keep on becoming our best selves. 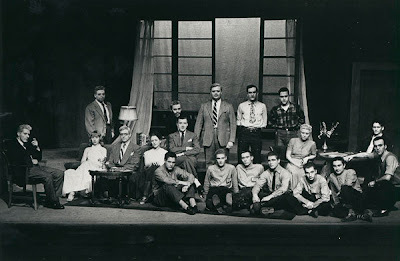 If you want to see him as a very young man, peruse the tributes. 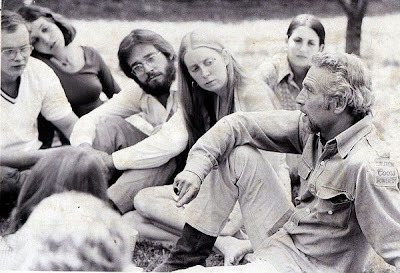 Some of them are sweeter than sweet (including this excellent photo of a version of him that makes my heart throb--the booted, bearded pedagogue, conducting the archetypal outdoor seminar meeting right here in my academic home? yes, please).